(Original Platform) Why is my social account giving a warning? How to correct the social warning. 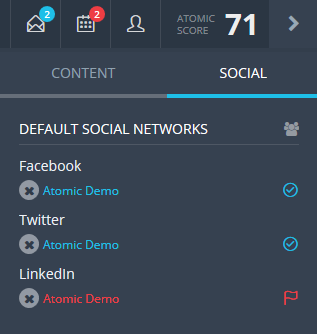 Sometimes you will notice a red warning beside your social account in Content Sources or in the Quick View bar. This usually means that we encountered an issue with your authentication token. 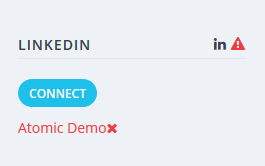 We recommend you disconnect and reconnect the account to refresh the authentication token as soon as possible as it can lead to interruptions affecting your scheduled social shares and your social data tracking that we use to determine your best sharing times. Please reach out to support@atomicreach.com and we'd be happy to answer any questions you have.